Bring the living colour of green into your home or business. 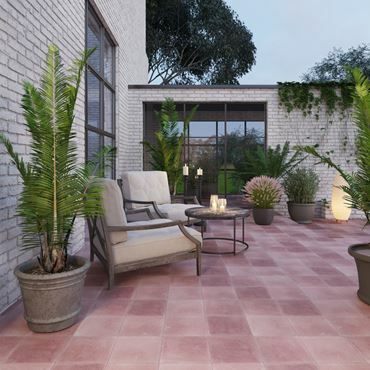 These cement tiles are divided into four equal squares in two calming, subtle shades of green. Use them to create a vinculum with nature, and to experience renewal and energy. Enjoy the feeling of harmony, safety and freshness that these special colours of these Turkish tiles can create. These carefully handcrafted cement tiles have just one segment in a rich turquoise to complement the complex grey, black, and white design. Pick up this bright colour in your furnishings to make an impact with your décor. The natural colours of these encaustic tiles won’t fade, and the striking pattern keeps its good looks, so you’ll be all squared away for many years to come. Geometry wasn’t many peoples favourite in school, but with these unique handcrafted cement tiles, you’ll have a whole new geometric experience. Combine the tiles with green and white triangles with those with the white lines on the green background to create a crazy geometrical masterpiece. The warm natural green shade of these encaustic tiles will bring life, luxury and a work of art into your home. Dersaadet is an old name for Istanbul and means ‘Happiness Gate’, and this classically-styled handmade encaustic cement tile is sure to make you happy as it adorns your walls or floor with its simple beauty and muted colours. Each tile is meticulously hand-crafted and the subtle shades of purple, grey, blue, and bright white, make this a very versatile decorative encaustic tile. Experiment as to how you want to lay these modern handmade encaustic cement tiles to achieve different stunning effects. You can create ‘full moons’ by uniting four tiles to form white circles on a black background, or ‘half-moons’ by placing two tiles together to make a semicircle. Or why not rotate one of these hand-crafted encaustic tiles to create delicate petal forms bathed in moonlight.